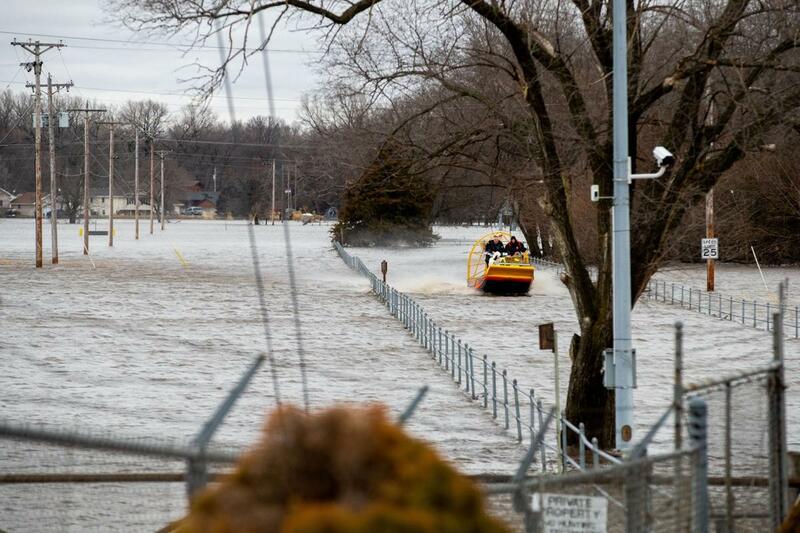 Heavy rain, melting snow and ice jams have all contributed to make several towns in Iowa look like this one in the picture. The American Legion’s National Emergency Fund is there to help with natural disasters like this when our members must leave their homes. The fund can provide up to $3,000 in financial aid to American Legion and SAL members who meet the criteria and up to $10,000 to help with repairs to a Post. Applications can be found on National’s website. If you have members in flooded areas, contact them and offer help through the NEF. All requests for assistance will be submitted through Department Headquarters on The American Legion National Emergency Fund Grant Application. Copies are available upon request from Department Headquarters and are available for download by clicking on the link at the bottom of this page. Our Preamble to The American Legion Constitution says it best, “…devotion to mutual helpfulness.” This phrase is more than just mere words on paper; it’s our pledge of support to our distressed comrades. Since the early 1920s, The American Legion has been actively involved in meeting the needs of both the community and individual Legion family members in the wake of a disaster. Hurricanes, tornadoes, earthquakes, wildfires…The American Legion National Emergency Fund was born out of natural disasters to compassionately heal the wounds of catastrophe and help save their homes. A major disaster could happen to any Legionnaire in any town at any time and make them homeless. The National Emergency Fund has provided over $6,000,000 in direct financial assistance to Legion family members and posts. The National Emergency Fund has kept posts from closing and enabled Legion family members to begin to rebuild their homes and their lives. 3. Does not cover insurance compensation or monetary losses from a business, structures on your property (barns, tool sheds, etc.) equipment or vehicles. 1. An application must be received within 90 days of the disaster. 2. Disaster must be a “declared natural disaster” by Federal, State or local government authorities. 3. Supporting data (photos, repair estimates, etc.) should be included if at all possible or statements (testimony) from post/district/department officers attesting to damages. 4. Only one grant per household. 5. Post grants must derive from a declared natural disaster and substantiating documentation must provide that The American Legion Post will cease to perform the duties and activities in the community due to losses sustained. Applications may be obtained by contacting your Department Headquarters at (800) 365-8387 or by calling The American Legion National Headquarters at (317) 630-1321. You can also download a grant application from the resources below. An application is properly completed by the applicant then sent to the Department Headquarters for approval. If everything is in order, the Department will forward to National. Upon approval at the National level, a check will be sent to the Department Headquarters for delivery to the Legion Family Member or Post in distress. We have an obligation to assist those less fortunate members when the need arises, and we do – through our donations to the National Emergency Fund. All contributions made to this fund are deposited in a special account and are used exclusively to meet our member’s most urgent needs. Not one single contribution dollar is used for fundraising, administrative costs or fulfillment. The money in the fund comes by way of generous donations from Legionnaires, American Legion Auxiliary members and Sons of The American Legion members.